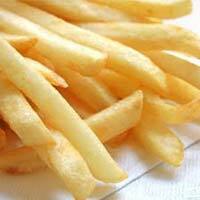 Our organization has accomplished far reaching acknowledgment in offering Frozen French Fries. 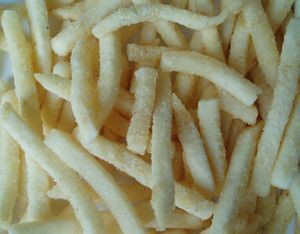 This item is famous for luscious taste, crunchiness, simple processing and virtue. 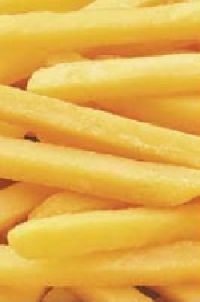 Solidified French Fries is set up by experienced merchants in clean condition utilizing ideal quality fixings and complex innovation in accordance with set industry standards. 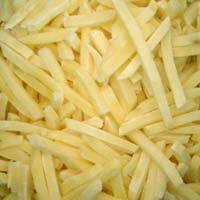 Being one of the leading names in the industry, we are engaged in supplying Frozen French Fries to our clients. 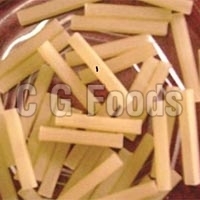 We offer lucrative deals on bulk orders and offer them at nominal prices. 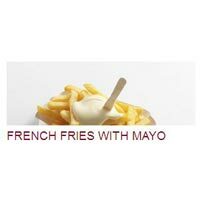 We offer them to the leading hotels, restaurants, and canteens, all over the globe. 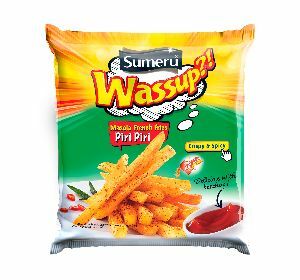 They are crunchy, right-sized and crispy in taste. These are available in airtight packets, to prevent moisture. 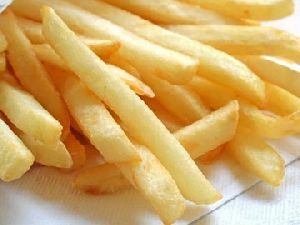 Frozen French Fries is a highly popular evening snack, owing to its great taste. 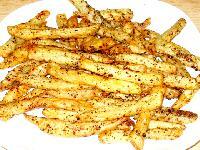 You can use any vegetable oil for deep frying and thus have delicious ready to eat French Fries. 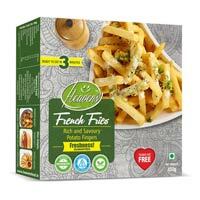 They are assured to be 100% safe to consume and free from harmful preservatives. 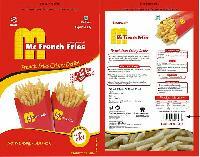 We have made our mark as a distinguished Manufacturer and Supplier of French Fries from Tamil Nadu (India). 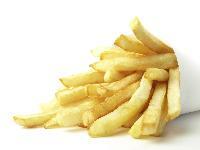 The French Fries we deal in are processed hygienically using high-quality raw material. 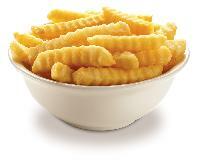 We are supported by a team of experts, which ensures the sizes of our French Fries are accurate. For retail as well as bulk orders, contact us. We offer them at the most affordable prices. We are working with a team of deft professionals who manage the entire task proficiently and lay special emphasis on product packaging so as to ensure safe and secure deliveries. To ensure utmost satisfaction of the buyers, we make sure that the delivery schedule should be properly maintained. 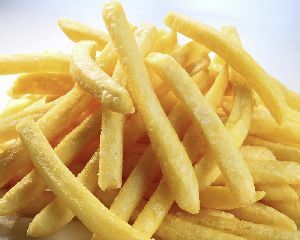 Our crispy and salty French Fries can tickle your taste buds with a mouth-watering taste. 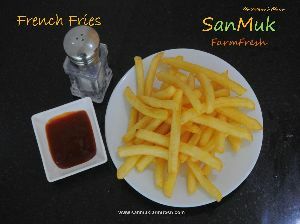 DESCRIPTION : Enjoy fluffy golden brown French fries with crispy outer and tender inside. 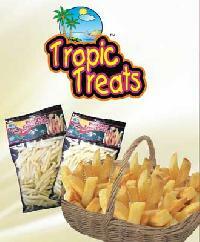 They make perfect delicious snacks to enjoy anytime, available in 6, 10, and 12 mm sizes. 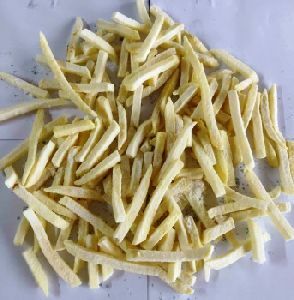 We are offering frozen french fries - straight cut 9 x 9mm - regular cut 6 x 6mm – shoe string 12 x 12mm – steak cut frozen french fries – crinkle cut frozen french fries - wedge cut (with or wo skin) original 8 cut wedges original 12 cut wedges flavored 8 cut wedges flavored 12 cut wedges. 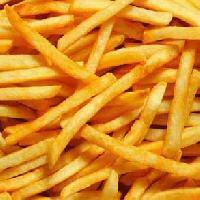 We offer hygienically processed Masala French Fries, which contains delicious spices and flavors. In our spacious warehouse, we store the entire lot under safe environment ensuring zero damage to the products. Moreover, we have hired experts to keep a check on the same. Owing to our excellent connectivity, trusted shipping facilities, we smoothly deliver the product basket to the clientele. 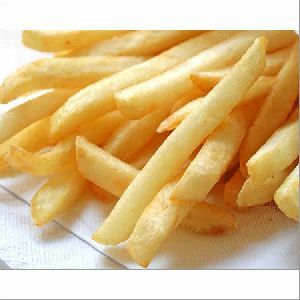 IQF french fries posses good color, flavor, body, and to be manufactured under highly sanitary conditions. 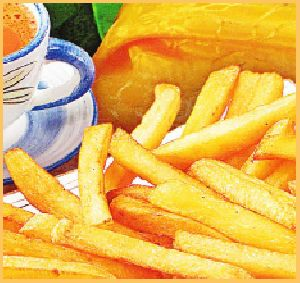 The product should be packed in food grade packing material and stored & distributed at temp below -18 C.
Sunloc Foods ( A Div. Of Sunil.. 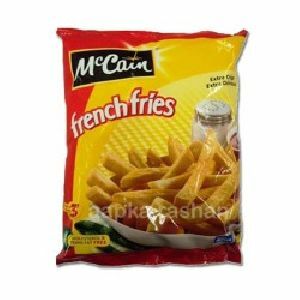 Product group - iqf frozen vegetables packaging size - as per customer requirement packaging type - carton port of dispatch - jnpt, mumbai port production capacity - 100 mt. As we have an efficient supply chain network, our company is able to fulfill bulk orders with ease and make deliveries on time. 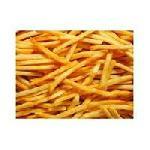 One of the leading companies based in Chandigarh(India), we are a known for the exceptional assortment of products. 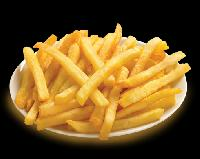 We offer delectable Frozen French Fries that are prepared by fresh potatoes. 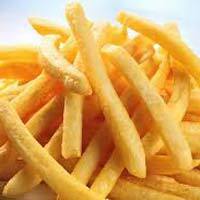 To get the optimum taste you can use vegetable oil to deep fry the Frozen French Fries, available with us. 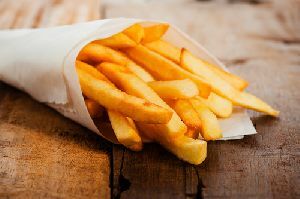 The French Fries is one of the famous evening snacks that are cherished for its taste all over the world. 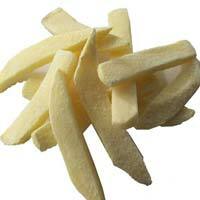 We are known to be among the topmost Tasty Frozen French Fries Manufacturers & Exporters from India. 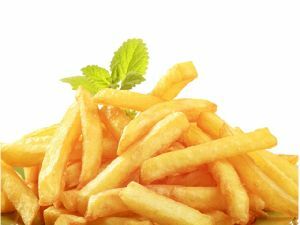 Why our Frozen French Fries? 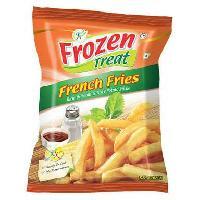 We are a leading manufacturer, supplier & exporter of processed frozen food & snacks from India. 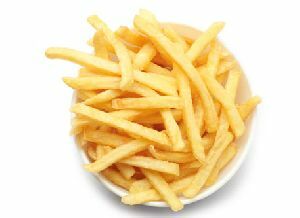 French Fries are one of the worlds most loved foods because of crispy on the outside, fluffy on the inside as well it comes in variety of shapes & sizes to suit any taste.